A Christmas Carol, Charles Dickens’ story about ghostly visitors, had a profound and lasting effect on the English-speaking world. To many, Christmas just isn’t Christmas without Ebenezer Scrooge and the ghosts of Christmas past, present and future. Maybe it is this keen concentration on the supernatural that has resulted in so many British ghosts having chosen to appear at Christmastime. Although ghost stories had long been a Yuletide tradition in England, after Dickens wrote his memorable tale, ghost stories became as much a part of Christmas as holly, roast goose and plum pudding. Perhaps this particular reading by Dickens was the most memorable because it was his last. Age had not been kind to Charles Dickens. Once a handsome young man with a thick head of lustrous hair, the passing years had turned him into a stooped, wrinkled, balding old geezer with a wispy, grey beard. 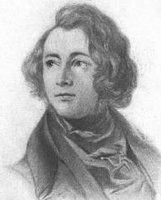 By the spring of 1870, Dickens was not only elderly, but ill. Still, he refused to succumb to his infirmities and continued to entertain and correspond with friends. In fact, he was working diligently on a new serial, The Mystery of Edwin Drood. Six parts of the 12-part novel had been completed when Dickens suffered a paralytic stroke while having dinner the night of Wednesday, June 8, 1870. He never regained consciousness and died the following day. Dickens was born in Hampshire, but made Rochester his home and in later years, expressed a desire to be buried in the small graveyard adjacent to Rochester Castle, probably because many ideas came to him as he walked the streets of the historic town. But as often happens when an individual dies, those they leave behind often have ideas and Charles Dickens was laid to rest, not in the little burial ground he had chosen, but at Westminster Abbey, a more fitting final resting place for an author of his stature. Accordingly, it comes as no surprise that the spirit of Charles Dickens himself “walks” on Christmas Eve. 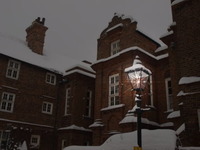 Whether it is because he resents the fact his family did not comply with his final wishes, or he just loves the Holiday season, shortly before midnight on Christmas Eve, Mr. Dickens’s ghost – appearing as a young gentleman, not the bent old man he became in later life – materializes in the graveyard near Rochester Castle and strolls the cobbled streets of the city he loved. After perusing Restoration House, the apparition of Mr. Dickens continues along the streets he knew so well in life. He arrives at the Corn Exchange at the stroke of midnight, looks up at the clock, tarries a few seconds to set his pocket watch, and disappears, not to be seen again until the following Christmas Eve. This is a very good story, Lee. I agree, Sam. Lee is an excellent writer. I always read the "Today in History" stories and anything else that she writes. I don't always read the other articles posted in the group, especially those about ghosts and hauntings, because a lot of them are garbage. My sister's grand-daughter was doing a paper on Charles Dickins and she was having a lot of problems with it until I e-mailed her this article. She was thrilled. She understood that she couldn't copy it, but only use it as a reference and she wrote about Dickens' ghost. She said that no one in her class knew that they used to tie a cloth under a dead person's chin to keep their mouth closed. She goes to a private school, where they still celebrate Christmas. If she went to public school, she'd probably get suspended for writing about a Christmas ghost. I always like to read this and the other Christmas ghost stories at this time of year. Do you suppose British ghost hunters have ever tried to get Dickens' ghosts on video? Or would the presence of ghost hunters be a deterrent?